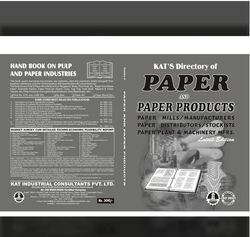 We are a leading Service Provider of ink and stationery products project reports, rubber industry project reports and paper based industry project from New Delhi, India. We provide project reports on Ink And Stationery Products Project Reports. We are an ISO 9001 : 2000 certified firm engaged in providing efficient Rubber Industry Project Reports to the clients. Rubber Industry Project Reports is provided by our professionals after analyzing the exact requirements of the clients. The services we offer are highly acclaimed for their effectiveness, reliability and timely execution. We are an ISO 9001 : 2000 certified firm engaged in providing efficient Paper Based Industry Project to the clients. Paper Based Industry Project is provided by our professionals after analyzing the exact requirements of the clients. The services we offer are highly acclaimed for their effectiveness, reliability and timely execution.